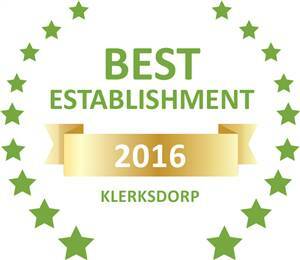 Based on reviews of establishments, Ukarimu Guest House has been voted Best Establishment in Klerksdorp for 2016. All rooms have private entrances. Secure parking is available on the premises. A swimming pool and outdoor braai facilities can be used to relax. A choice of Continental breakfast placed in room or full english breakfast is served on request. Supper can be provided on request. Our parking area is secured with an automated gate and pallisade fencing. Most parking bays have shadenet covering to protect your vehicle.